A church that welcomes everyone! Directions: proceed on Highway 840 to Rosebud until you get to the 4 way stop in middle of hamlet: turn West until outskirts of town and turn right off road up the hill and left into parking lot. Soup Sundays: First Sunday of the month following the morning service. Excluding January, July, August, September. 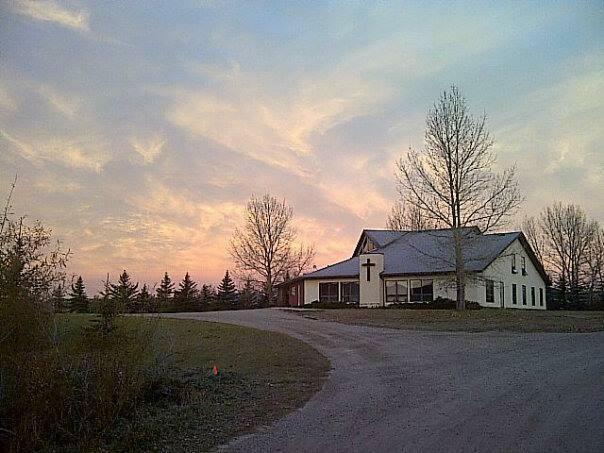 This community church includes friends from the areas surrounding Rosebud, staff, students and families of Rosebud Centre of the Arts, as well as our many guests. Attendees come from a wide variety of Christian faith traditions, and include all who are wanting to explore their spiritual life more fully. Worship teams with diverse backgrounds and styles alternate in leading the Sunday morning service. HOME Copyright © Wild Horse Springs, Updated June 21, 2018.